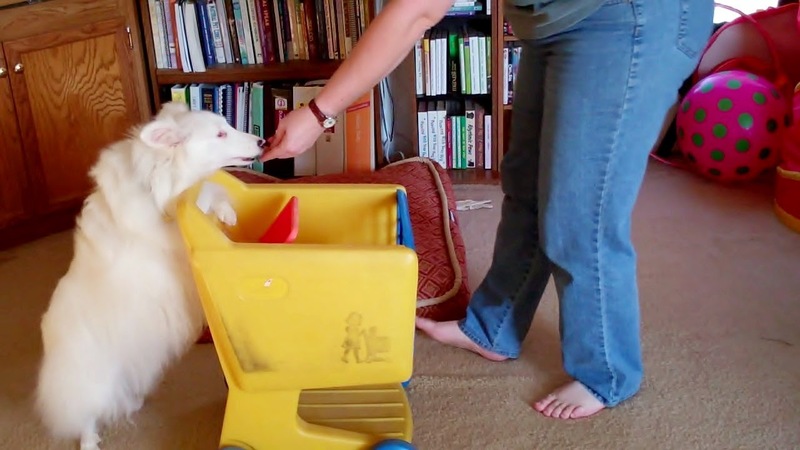 White Dog Blog: Trick Dogs! A project we’re working on over the winter is for Vegas and Treasure to learn enough new tricks to earn their Intermediate Trick Dog titles. Tricks are a great way to spend time with your dog and a good way to help their bodies and minds get exercise when all we want to do is hibernate inside where it’s warm! Each dog needs to learn 12 new tricks to earn this new title. Vegas has learned 8 on the list so far. He is working on developing the muscles needed to sit pretty (beg) on his own, hide in a box, weave through my legs as I walk, and do tricks with a pedestal. He loves his lessons, which are a time for just him and I to play and have fun! I can’t wait to show you what he has learned! Treasure knows 10 of the intermediate level tricks! Only 2 more to go! 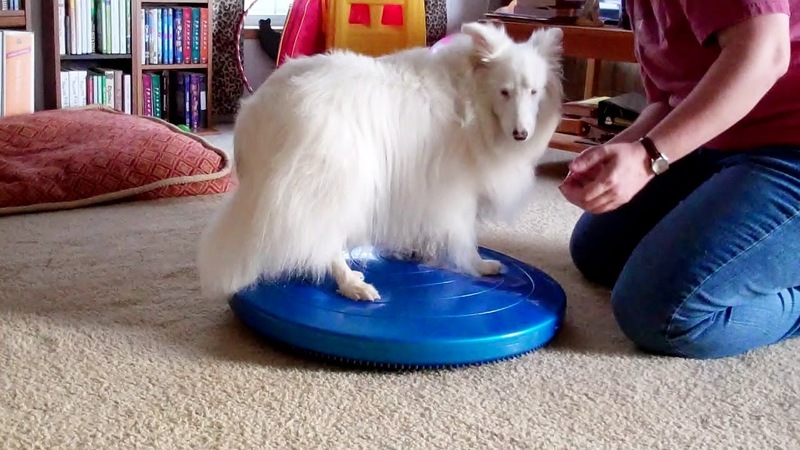 She is learning to work with a pedestal and do different tricks with it, go to a mat (which is proving to be easier than I thought with a blind/deaf dog! ), and to weave through my legs (this one is tricky for her). She is also working with paw pods and learning to put one paw up on each pod. She can do the front two pods very well. It’s much harder for her to find the pod with her back feet. While we play with intermediate tricks, they are also both learning some tricks from the advanced and expert trick lists. This is really great fun! 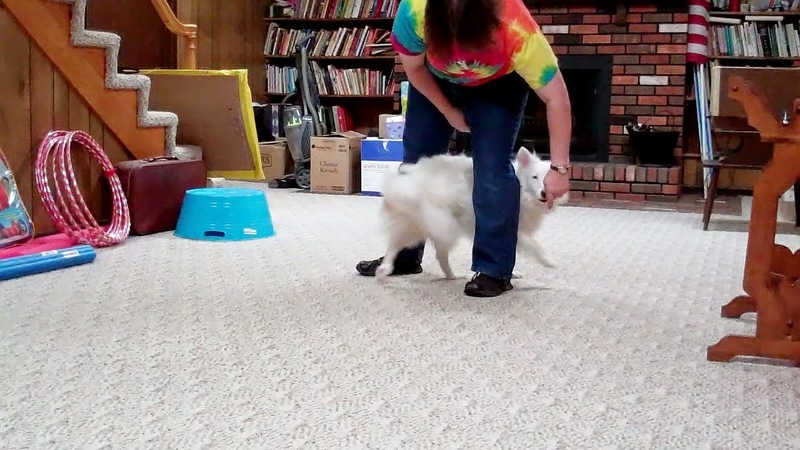 It challenges my skills as a trainer – doing shaping with a tactile marker (clicker signal that Treasure can feel), figuring out how to adapt each exercise for Vegas’ limited vision – and it is fun for the dogs to get one on one time with me and lots of praise, treats, and fun!